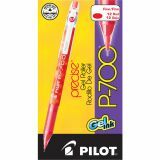 Pilot Precise P-700 Stick Gel Pen, Fine 0.7mm, Red Ink & Barrel, Dozen - P700 Gel Roller Pens have a distinctive two-tone barrel design, ribbed grip and precise point. 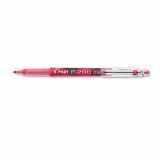 Each pen delivers smooth writing with waterproof, acid-free, and smearproof gel ink. 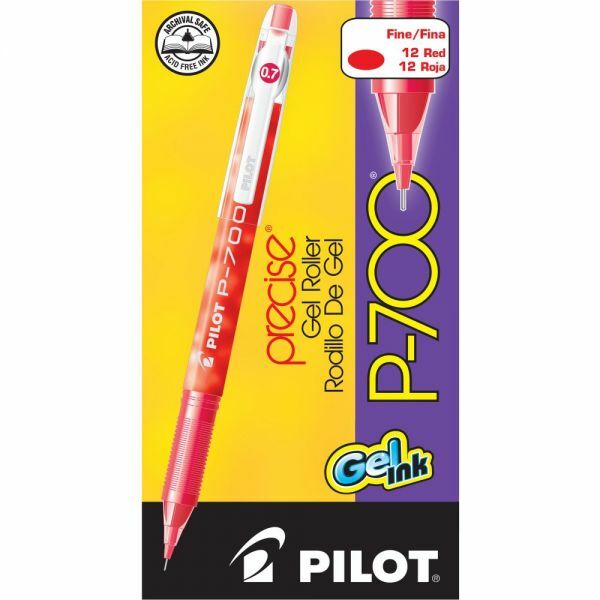 Ink color matches barrel and cap accents.